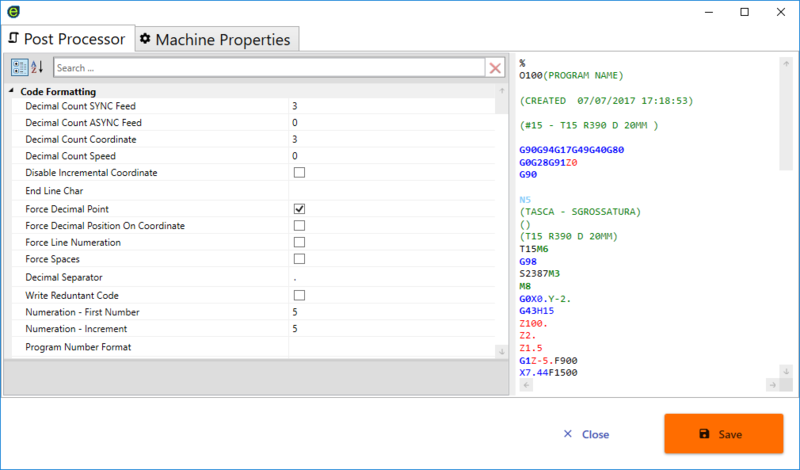 To edit the current post processor , click [Edit Tool Machine] in the code generation dialog, or in the setup screen. 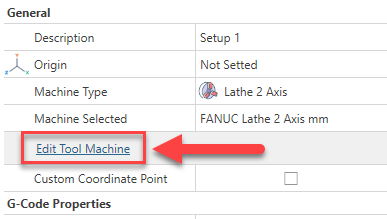 In this dialog you can set the post processor preference , or the machine specific properties like rapid feed and default values used in toolpath engines. After you have edited a property or a template , you can see immediately the output result in the side screen . Use the search field to find the property you need .